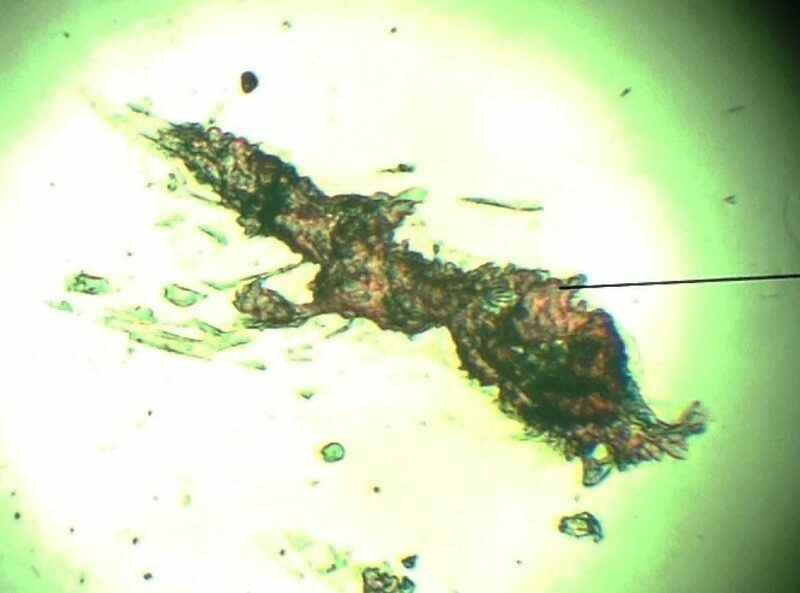 A couple of years ago I noticed pits on my glass slides after laser tattoo treatments. Under a microscope I could see ‘craters’ which had been formed by high speed ink fragments flying out of the skin. I think these are melted portions of ink which has spread into the glass slide. Then I noticed that these ‘insects’ were deeper than the pit marks, which were all on the surface. The following video shows the change in focus between the surface crated and the deeper insects…. I will investigate these further…. I sometimes feel these shards of ink on my face when working on a tattoo. Doesn’t happen all the time. It actually seems random, so it would be interesting to know under what parameters it does occur? You are quite right – it doesn’t happen during every treatment. I found it occurred under normal treatment parameters but only on dark inks, usually black. I suspect it’s due to the relatively high absorption in those darker inks that result in the ‘explosive’ action of the flying fragments. I did some calculations for other ink colours and found that the kinetic energies were considerably lower. I think that explains why I did not see any other colours in the glass slides!